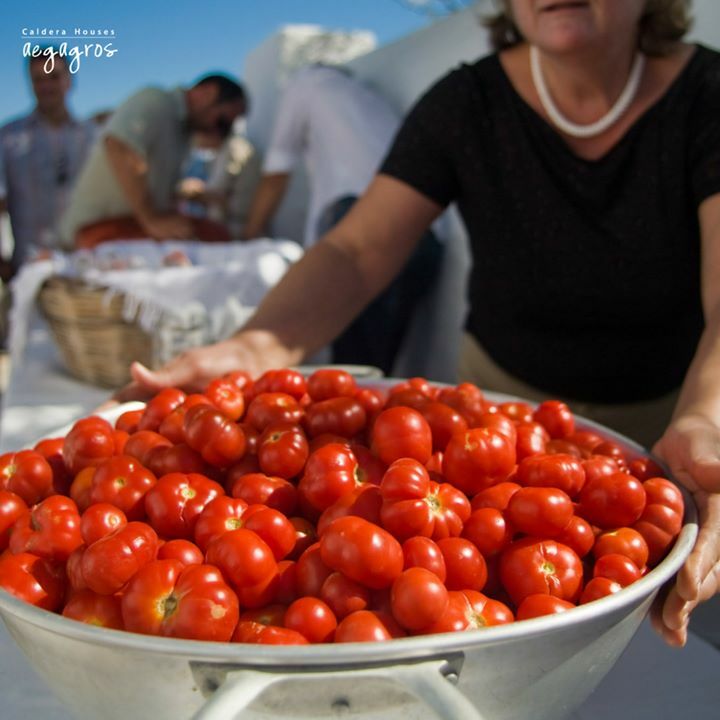 Want to experience how the Santorinians celebrate the Saints? Then you are welcome to join in the annual celebration of Santa Marina, in Megalochori tomorrow. You might want to know that this is not a tourist attraction, but rather, a typical “panigyri”, a local religious feast where everyone can take part! Locals and guests from all over the world join the festivities, which start with the priest’s blessing in a Greek Orthodox liturgy at 07.00 on Monday morning and end with traditional Greek dances. Santorini delicacies and wine are freely served! If you come from Fira, the beautiful Santa Marina church is on your right, 100m after the street that leads to the port (look for the red sign).